The picture you see is Carthew. His mom shared it on Facebook and gave me permission to share it even further. The caption she wrote for this photo: "Carthew has ridden his bike to school everyday since September. He’s had some chilly days, coldest one to date was -20°C (-4 Fahrenheit), rainy days, windy days. Today we had a pretty good snow storm start up after he left for school. I checked on him. He said he was fine. He had a fat bike. It was made for snow." 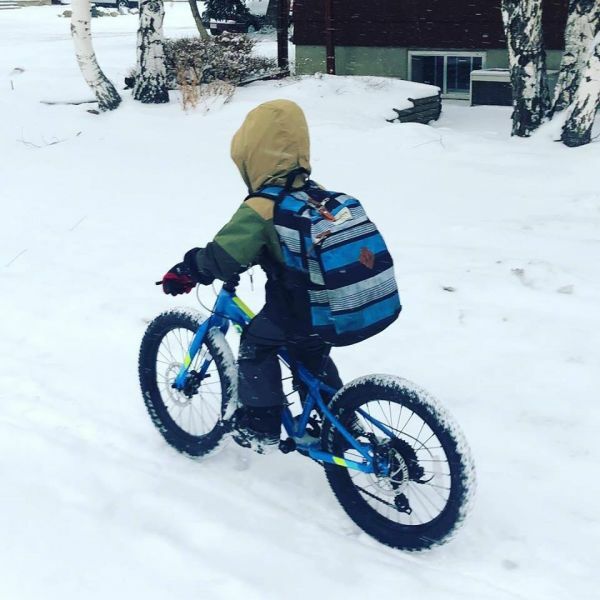 Carthew signed up for Winter Bike To Work Day 2019 - being the first dot on the map for Lethbridge!! Now it's YOUR turn! Let's fill the map with dots in our city.